Activity in Canada's housing market has picked up after a trough earlier in the year, but on a national level average prices are still barely higher than they were a year ago. 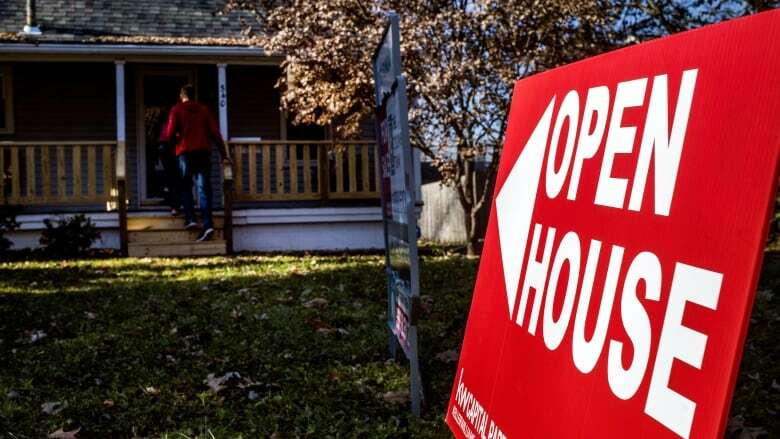 The Canadian Real Estate Association, which represents 125,000 realtors across the country, said home sales increased by 0.9 per cent in August, the fourth monthly increase in a row after new mortgage rules implemented in January took a big bite out of the market in the first part of the year. But the monthly sales figure is still four per cent lower than it was a year ago. "The new stress-test on mortgage applicants implemented earlier this year continues to weigh on national home sales," CREA President Barb Sukkau said in a release. "The degree to which the stress-test continues to sideline home buyers varies depending on location, housing type and price range." The number of sales every month is inching higher, and so too are prices, on average. CREA says the average price of a Canadian home sold last month was $475,500, a figure that has increased by one per cent in the past year. But CREA says the average figure isn't the best gauge of the market, because it is skewed by higher prices in big markets like Toronto and Vancouver. So instead the realtor group touts a different figure, known as the House Price Index, which it says strips out the volatility. By that metric, the HPI increased by 2.5 per cent in the year up to August, slightly higher than July's pace. But there are wide variations across the country. Gains are still strong in British Columbia, with an annual increase of 4.1 per cent in the Greater Vancouver Area, 10.7 per cent in the Fraser Valley, 8.5 per cent in Victoria and 13.6 per cent elsewhere on Vancouver Island. The market was softer east of the Rockies, however, with prices down by 2.2 per cent in Calgary, by 2.1 per cent in Edmonton, by 4.8 per cent in Regina and by 2.3 per cent in Saskatoon in the past year. "Markets in Saskatchewan and Alberta dealing with oversupplied conditions," Toronto-Dominion bank economist Rishi Sondhi said of the numbers. Most of Ontario saw gains, with an increase of 7.2 per cent in Hamilton-Burlington, 6.6 per cent across Niagara Region, 5.5 per cent in Guelph and 1.4 per cent across the GTA. The increase in the GTA is the first annual uptick in six months, Sondhi noted. The area around Barrie was a soft spot, down 2.7 per cent in the past year. Prices in Ottawa have increased by 7.1 per cent in the past year, and by almost as much (5.9 per cent) in the Montreal area. "It's clear that housing markets are moving past the [stress test] induced weakness earlier in the year," Sondhi said. "Questions now centre on the path of the recovery going forward. Our view is that sales and prices will continue to grow, but that rising borrowing costs will restrain the pace of expansion."